Lady and the Tramp is Disney Animated Features' 15th movie, but more importantly, the first animated movie ever made for Cinemascope. Created in 1953, the CinemaScope lens allowed movies to be filmed and projected in wide screen, up to three times as long as previous formats. So the screen would actually be placed in a semicircle instead of having it flat, giving the projection a more surrounding effect. The film was originally produced as a widescreen film, but with the increasing popularity of CinemaScope, Walt Disney decided to adapt it so it could be played both on widescreen and CinemaScope. So the team at Disney Studios had to work on two different versions of the film. Backgrounds were expanded and the characters had to be positioned further apart from each other to fit the CinemaScope format. 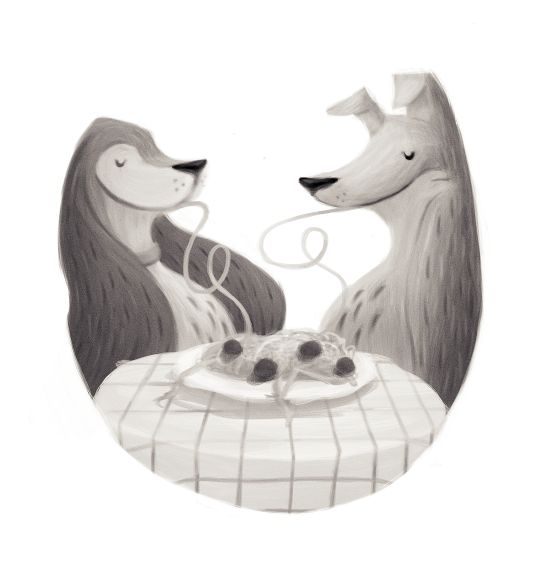 Lady and the Tramp is one of the few original stories from Disney in those years. Cinderella, Alice in Wonderland and Peter Pan, the three previous feature films by Disney, had all been based on novels or short stories. The story began with Disney animator Joe Grant's dog. He showed Walt Disney some sketches he'd done and Walt asked him to come up with a story. Grant tried many different ideas, and when he finally presented his final version, Walt hated it. So, as many other projects, Walt put this one on hold to be worked on at some other moment. 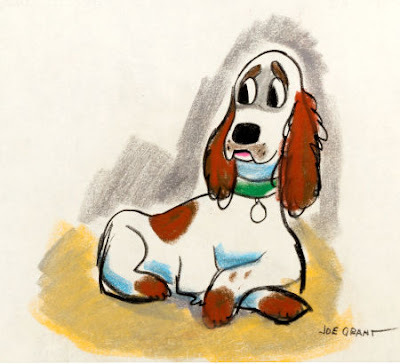 But Joe Grant quit Disney in 1949 (and returned in 1980), and was never able to work on the final version. So when the production was resumed, Ward Greene was in charge of writing the new version of the story, adding Lady's love interest and changing the whole idea. As it had been for the past 12 years, Mary Blair was in charge of designing backgrounds, colors and the whole movie concept in general. But she would also leave the studio before completing the film. 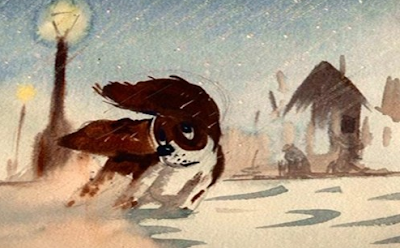 After Peter Pan was released, Blair quit Disney to become a freelance graphic designer. So Eyvind Earle would take Blair's place as concept designer and background artist. Having studied architecture, Earle was very interested in perspective. Since the whole movie would be shot from a dog's perspective, Earle actually built maquetes of the various scenes to help with the background design. This method is still used nowadays, only with CAD models. Something really neat is the use of shadows to create really nice scenes. There are four scenes that really stand out.